The abundance of striped bass (Morone saxatilis) in the Southern Gulf of Saint Lawrence has increased significantly since the early 2000s, with the most recent estimate of spawner abundance (2017) being 994,000 fish. The Northwest Miramichi estuary remains the only confirmed spawning location for this population; however, there had been no effort to sample in other estuaries that may be contributing to the increase in population size. Because of this fact, the COSEWIC status for the Southern Gulf of Saint Lawrence population is still listed as “Special Concern”. 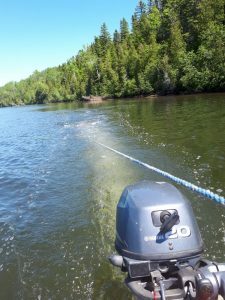 Surveys were conducted by The Miramichi Salmon Association on the Northwest Miramichi River, the Southwest Miramichi River, and the Tabusintac River in order to observe the presence or absence of Striped bass eggs and larvae.